Today, we’re rectifying a huge omission on our part. 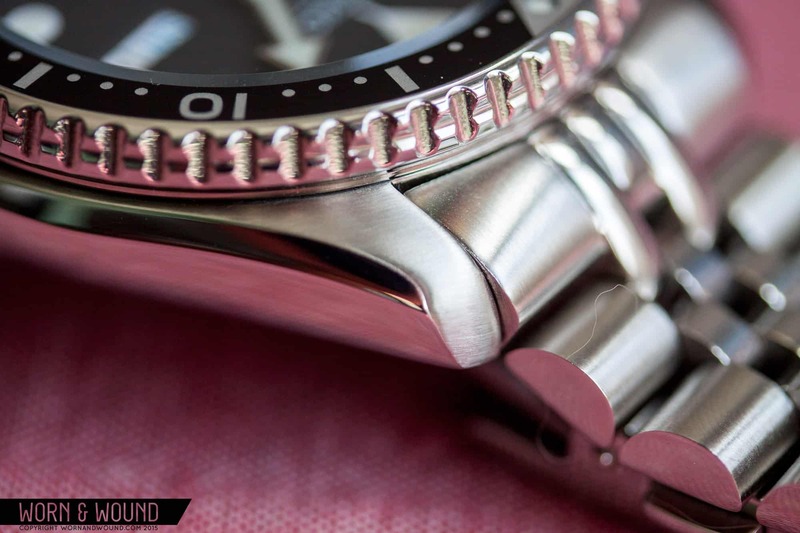 After 4 years, we’re finally reviewing the Seiko SKX007. The SKX007 is one of the most iconic divers currently on the market. If the Submariner is the quintessential modern dive watch in the luxury market, then the SKX007 is, without a doubt, its affordable counterpart. The SKX007 is usually the first watch budding collectors buy after making the jump to mechanicals, but it’s also prized by seasoned enthusiasts for its robust build and good looks, ISO-rated case, and epic nighttime luminosity. It has a street price of around $150–depending on the vendor and availability–so it makes for a super solid beater that you don’t have to worry about. But price aside, it’s simply a really well-made watch that’s equal parts versatile and equal parts utilitarian, all from one of the most respected firms on the planet. 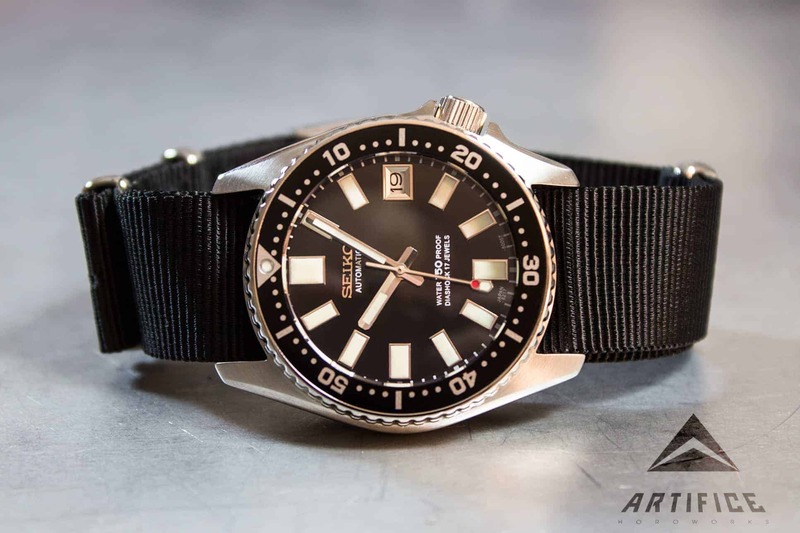 The lineage of the 007 can be traced back to Seiko’s earliest divers, starting with the iconic 62MAS and moving through the 6105, 6306/9, and the 7002. 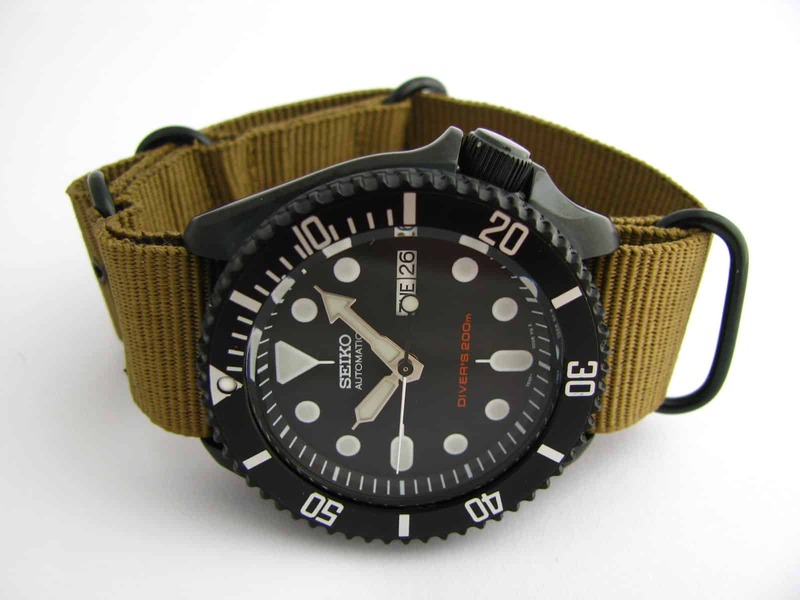 First produced in 1996, the SKX007 is one of several modern divers from Seiko powered by the brand’s automatic 7s26 movement. Other variants feature the same case paired with different dial designs and colors, some of which were conceived for specific international markets. There are even variations based on where the watch was manufactured, and some collectors prize the “made in Japan” versions above all others. To become better acquainted with all the available variants, check out this incredibly informative post. I could honestly end the review here and feel confident simply saying, “Go buy one.” It’s a no-brainer. But this is worn&wound, after all, and it wouldn’t be a review without us geeking out over some of the watch’s finer points. So let’s get into the nitty gritty of it all. The watch reviewed here is my own. Let’s get the specs out of the way. The SKX007 case comes in at approximately 42.5mm wide, and 45.5mm if you include the crown. The lug width is 22mm, and the lug-to-lug length is a very reasonable and accommodating 46mm, so it should wear comfortably on a wide range of wrists. 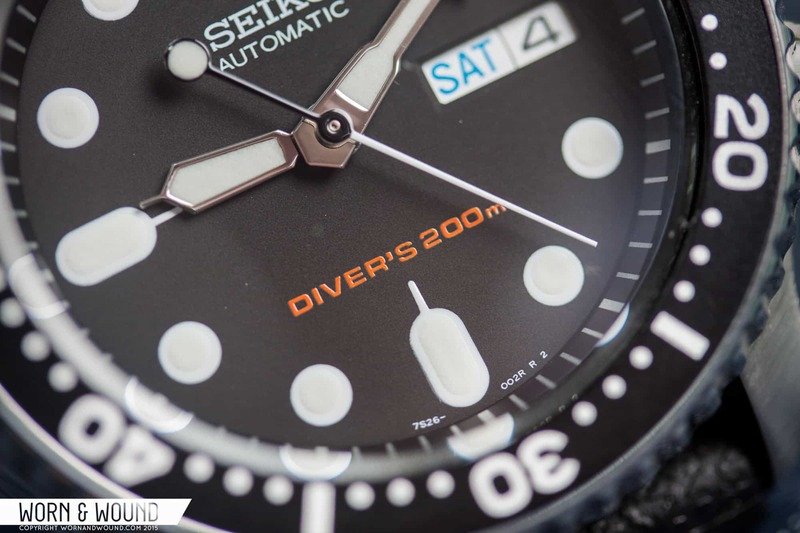 It is a bit of a thick watch at 13.25mm, a relatively common trait with Seiko divers. Regardless, the watch wears quite well and doesn’t sit too high off the wrist. The ISO-rated case boasts an impressive 200m of water resistance. The case of the SKX007 is wholly unique to Seiko and represents a natural progression of the design going back several models. Aesthetically, it’s similar to the case of its predecessor, the 7002, which in turn featured a slimmed down version of the turtle-shaped case of the 6309. The overall design of the case is quite soft; there are no hard lines or transitions between sections or finishes. The sides of the case are highly polished, with the tops of the lugs featuring a fine-brushed finish. There’s a slight bevel where the case meets the bezel, and it extends all the way down to the lugs. The large crown is positioned at 4 o’clock, and it’s flanked by a set of prominent crown guards beautifully integrated into the flow of the case. The unsigned crown is quite large and features coin edging, but due to the height of the crown guards it can be quite difficult to operate. Sitting atop of the case is a chamfered crystal made from Seiko’s proprietary Hardlex material, a type of hardened mineral crystal that offers greater resistance against shattering, though it is more scratch prone than sapphire. The 120-click bezel is extremely well executed. It features a two-tiered groove pattern that allows for a sure grip, and the bezel action is truly impeccable. At this price point you normally get some wobble or less than stellar action. Not the case here. It’s smooth, with sure clicks and without any significant play. It feels like the bezel of a much more expensive watch. The insert is black aluminum with silver markers for each minute going all the way around the bezel. The lume pip, centered at 60, is shielded. Flipping the watch around, you’ll see the screw down solid case back with Seiko’s stamped Tsunami medallion. The technical specs are etched along the perimeter of the case back. The no-frills dial is purposefully designed and utilitarian, though not without some of Seiko’s signature charm. It features a matte black base with rounded white hour markers, but with two exceptions. The first is the beveled day/date window at 3 o’clock, and the second is the inverted triangle at the 12 o’clock position. 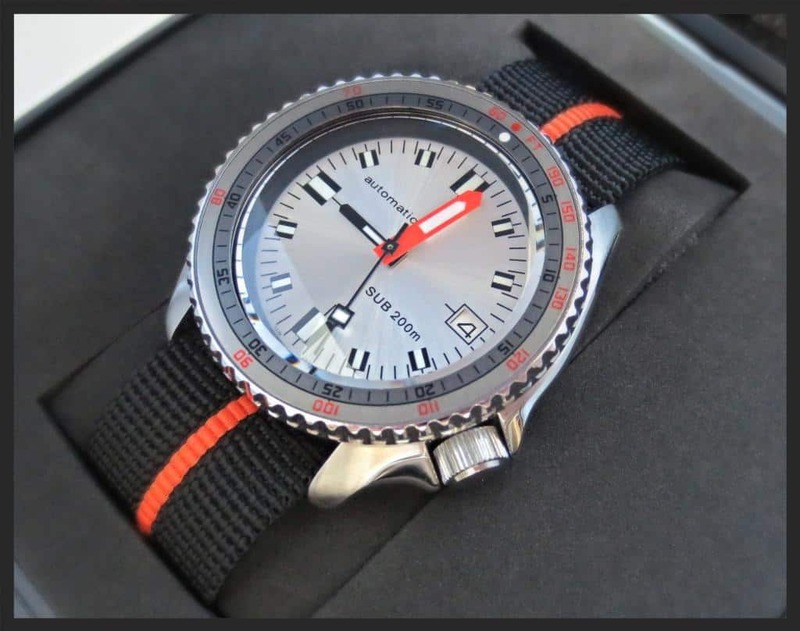 Overall, the markers are large and legible, necessities on any professional dive watch. I’m normally the first to complain about white date wheels against black dials, but I don’t find the application too offensive here. While I would still prefer a matching date wheel and may mod my piece in the future (more on “modding” later), I find that the white aperture, elongated to accommodate both complications, does a good job at matching the longer marker at 9 o’clock, thereby retaining a sense of symmetry on the dial. The day wheel is bilingual (Spanish and English), and Saturday is represented in blue text and Sunday in red. 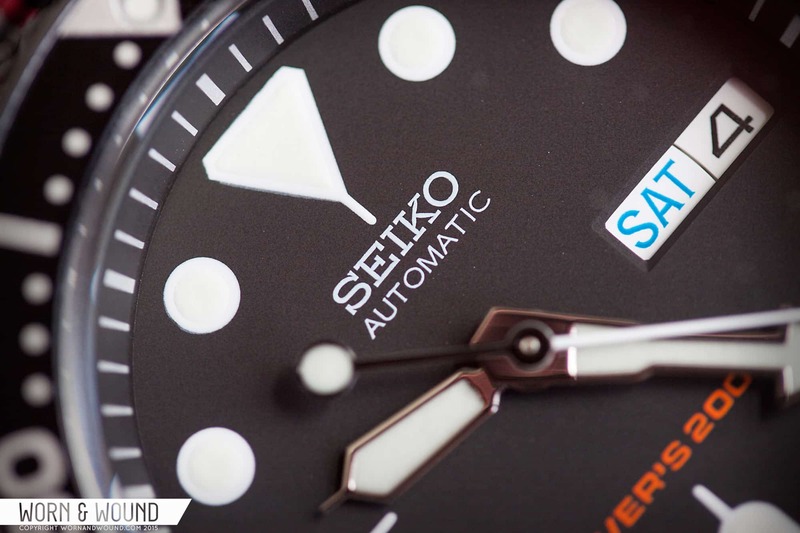 The brand insignia is positioned in the traditional place below the 12 o’clock marker, with the word “AUTOMATIC” right below “SEIKO.” Above the 6 o’clock position is the depth rating, and it reads “DIVER’S 200m” in red, a nice splash of color on the dial. 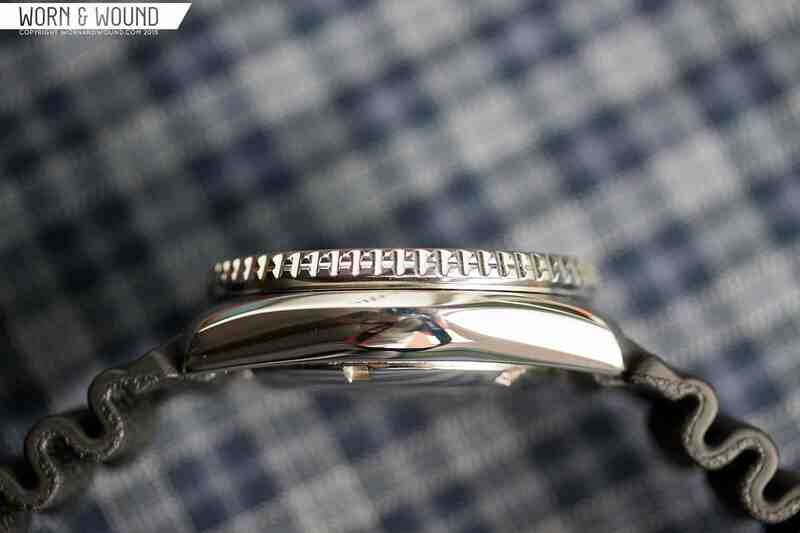 The face of the watch is extended quite a bit by the sloping chapter ring, also black but with silver hash marks representing the minutes/seconds. The hours and minutes hands are distinctive to Seiko and pull from the brand’s heritage. The hours hand is sword shaped and the minutes hand is a stylized arrow with a broad base; both are needle tipped. They’re also generously filled with luminous material and trimmed in chrome, the latter of which offers a warmer look than what one would get from stainless steel. 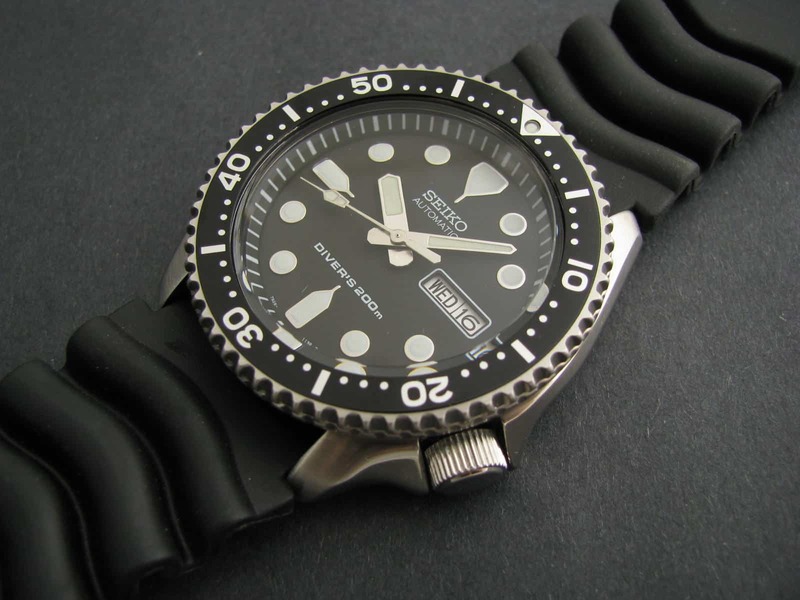 The seconds hand is a departure for Seiko, in that it has a significantly long counterbalance with a lumed lollipop end bordered in black trim (Seiko divers traditionally featured lumed circles or segments on the front end of the seconds hand). I somewhat like this quirky feature, not because it offers any sort of real utility, but simply because it’s cool to see a “floating” disc move across the dial. The rest of the seconds hand is painted white. Speaking of lume, the SKX007 features Seiko’s patented LumiBrite solution, known for its impeccable nighttime luminescence. That hands and markers are well packed with the stuff, and it lasts well into the night on a full charge. moving parts, making it one of the simplest automatic systems around. It features a quickset day/date display, automatic bi-directional winding (via Seiko’s patented Magic Lever system), 21 jewels, a beat rate of 21,600 bph, and it is non-handwinding and non-hacking. Overall, there isn’t much to say about this movement other than that it’s cheap and reliable. In terms of accuracy however, the range is quite large, rated at approximately -20 to +40 seconds per day. The movement can be adjusted to achieve greater accuracy, however, and they sometimes come relatively precise right out of the box (my particular piece runs approximately 4 seconds fast a day). As already mentioned, the SKX007 is an incredibly versatile watch. 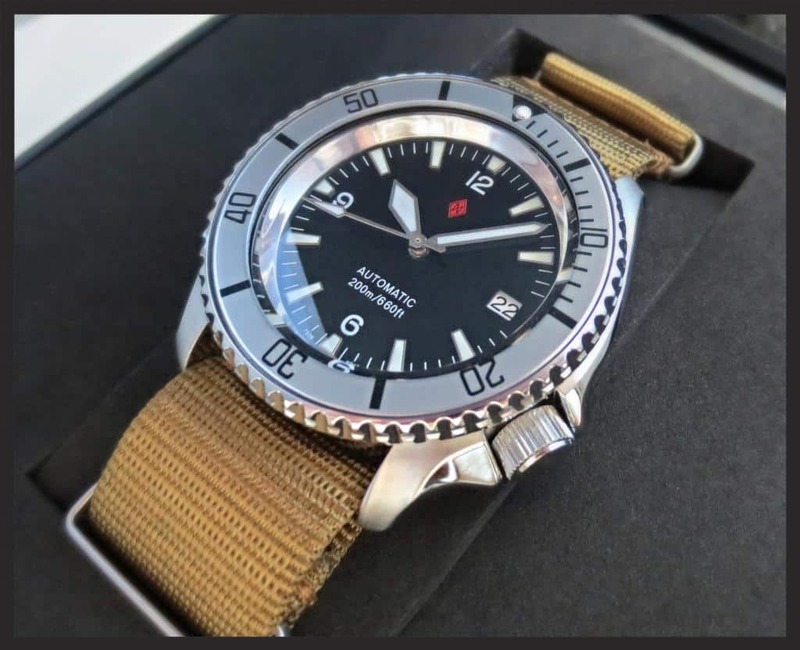 It can be purchased on a number of different straps, including a rubber two-piece, a stainless steel oyster bracelet, and a stainless steel jubilee bracelet. I am not the biggest fan of the metal bracelets Seiko uses with their more affordable timepieces, so I opted for the rubber option. It wears comfortably enough, though it is a bit stiff. Naturally, being a dive watch, the SKX007 would look right at home on a nylon military slip-through strap, a great option for the summer. For those interested in a bracelet, I would recommend the jubilee band from STRAPCODE. It’s a relatively affordable option at about $63, and it looks great paired with the case. I especially love the way the vintage styling of the bracelet dresses the watch up a bit. Plus, it’s heavy and robust, and it features solid end links. My only complaint is that the end links aren’t an exact match to the case, but it’s something that’s only noticeable under extreme scrutiny. 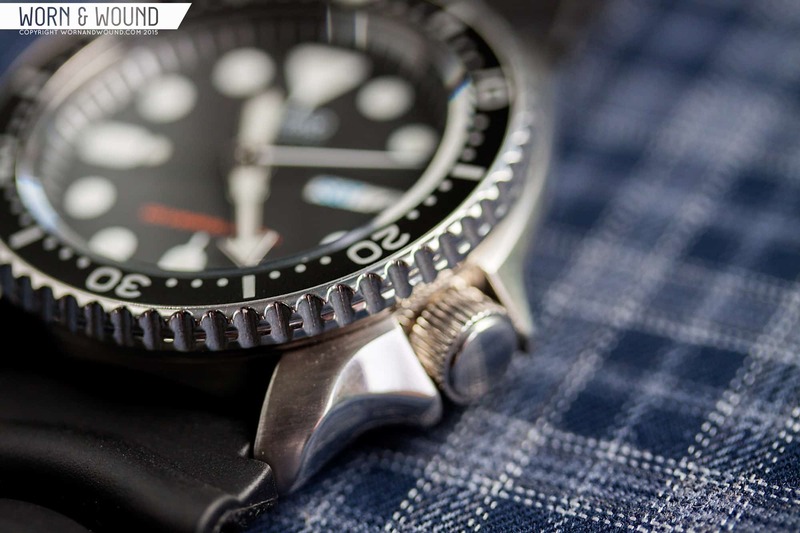 If you’re new to collecting watches, you might not be aware of modding. You can read our take on it here, but it’s basically what it sounds like. 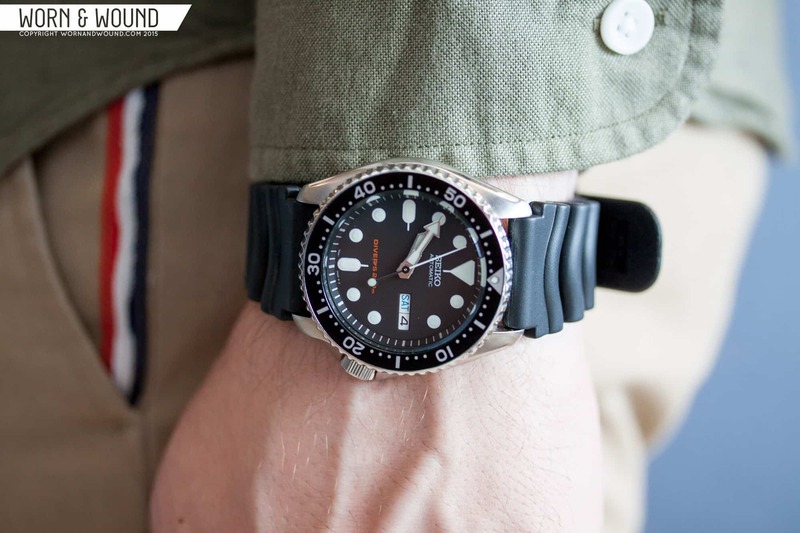 Built around certain watches and movements, one of the most prominent being the SKX007, is a small community of brands supplying aftermarket parts that can be used to change the overall appearance of the watch. These include bezels, dials, hands, chapter rings–you name it. It can be quite fun when you really get into, as the combinations truly are endless. For a supplier of aftermarket parts, visit our friends over at Dagaz Watches. If you’re making the leap from quartz to mechanicals and aren’t looking to break the bank, there are very few watches I would recommend before the SKX007. Even if you’re just looking for a well-rounded diver to take on your next vacation, there really is no better option. It’s robust and versatile, and with a few extra straps you’ll have a watch you can pair to almost any occasion. If the aesthetics of the 007 aren’t exactly to your liking, it might be worth checking out some of the other variations on the market, which are generally priced the same though some models, like the SKX173, can be a bit more expensive. And remember, you can mod the watch to almost any configuration imaginable, so it can be a solid base for creating the watch you really want. Pure classic! Thanks for such thorough review as well as the video 🙂 Was always tempted by 007, but still thinking… If it had symmetrical no-date no-day dial – I would have been running for it immediately! BTW, has anybody tried the watch on Tropic strap? You can get one modified easily with a date only dial. Check my site if you like. Search for DaddyCode Watches. symmetrical dail (same marking at 3 as at 9, just inversed)? If you want an SKX lookalike with date only, consider an old Seiko 7002 diver. A new SKX can easily be modified with an aftermarket 7002 dial from ebay. However I tend to use non-Seiko dials from Dagaz Watch and Yobokies, and these are usually date-only too. Haven’t seen a Seiko-style symmetrical dial with no date at all though, sorry! Great review on this piece. It’s one I looked at before getting a SRP347. Surprised there was no mention of the oyster bracelets from wjean. 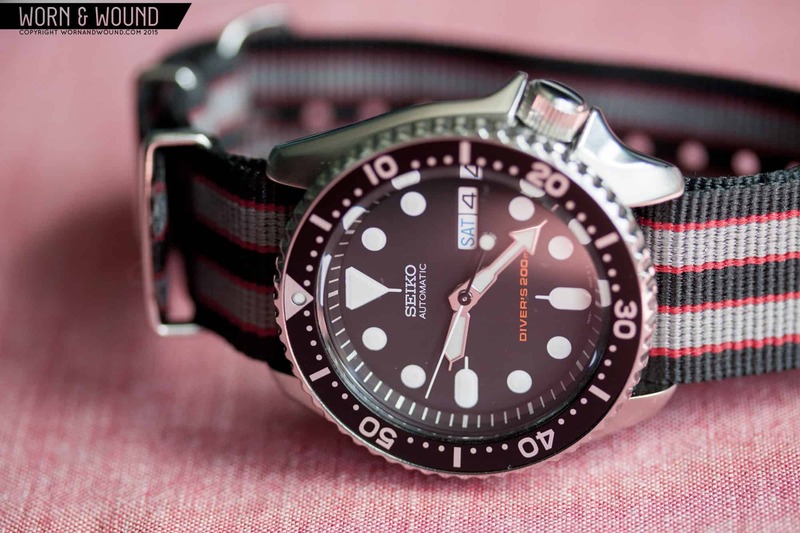 i think the Seiko SKX013 is worth a shout-out here… basically the exact same watch as the 007 but with a case size around the 38mm mark, and therefore better sized for those of us with smaller wrists or those who simply prefer a smaller sized watch. I’ve been considering getting one, the only draw back for me is Seiko’s Hardlex which I find gets scratched up far too easily. If not a sapphire why not merely fit an acrylic crystal which can be at least re-polished? You could consider getting a (domed) sapphire crystal from Dagaz and get it retrofitted. It’s pretty easy to polish out all but the deepest scratches in the Hardlex crystals using diamond polishing compound or cerium oxide glass polish. Great review! What perlon strap is that? Love the 007 so much that by next week I´ll have a 009 to make it company! A few years ago, someone on one of the watch forums ‘torture tested’ an SKX007 just to see how much water pressure it could take before failing. The person testing the watch ended the test at 420m, because he was afraid of the crystal cracking if he pushed the test further. The watch itself took over 200% of it’s indicated rating without failure. Seiko SKX-series divers are truly apocalypse-proof. Love this watch. I just bought a SKX031 the other day & work next to a guy who wears an SKX175. The SKX line are the best watches for the price hands down IMO. Great review. Where did you find a SKX031!? Wassup Ilya, another great review! 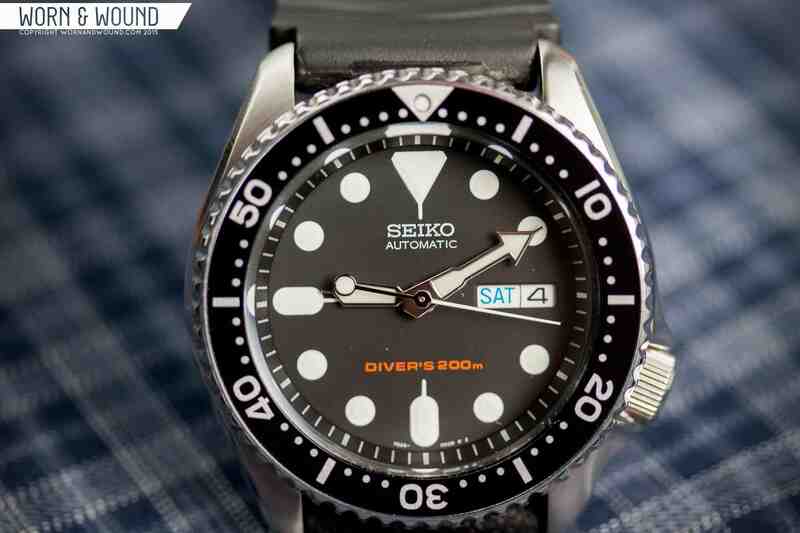 I won’t be getting a SKX007 as I have a Mako, but I’m picking up a Shogun tomorrow. Thanks! I had a Pepsi Mako a few years back. Great watch. I wish I knew where to get that for 150 bucks. Any suggestions would be appreciated. Thanks, but for some reason Amazon.com doesn’t send Seiko to Canada and when you go to Amazon.ca it is considerably more. Also direct from Japan via Rakuten.com. Best pricing, but you have to add shipping cost to that. Thanks, never ordered from there before. I think it’s time to take the plunge. Yeah; also the purchase experience is a bit weird. After you buy they send you a link via e-mail, and from there you can process the payment via Paypal (or credit card I suppose). Then they send you the tracking number by e-mail. I’ve purchased from both Seiko3S and Cybertime; both were great, shipped the watch very promptly. Depending on where you ship it too it is possible that the customs office adds some import duty. This happened to me but it wasn’t a major amount. If I am not mistaken, the 7s36 in your Seiko is a variation of the 7s26. There are two additional jewels for the 7s36 vs 7s26 that I have read to be essentially unnecessary additions to the gear train. The 7s26 features a 4 o’clock crown while the 7s36 can be used in watches with a 3 o’clock crown in addition to a 4 o’clock crown. On a recent vacation to Hawaii I took 4 watches, but the Seiko 009 got worn more than any other (they were all more expensive 😉 ). Diving, snorkeling, or just hanging at the beach, it’s one of the perfect vacation watches, especially on a nato. Based on this excellent review I just bought one from Jomashop. It makes a rattling sound when I shake it. Is this normal? Several blogs are saying yes, I called Seiko USA and they said no. Any thoughts? If it’s like a rattling whirring noise, it’s normal. It’ll be the sound of the weighted rotor turning… That’s the bit that winds it up automatically when you’re moving. I don’t know if it’s been mentioned yet, but the luminous lollipop second hand serves a function as part of the ISO 6425 requirements, as did the luminous circles on the front of older Seiko diver second hands. It acts as a running indicator, allowing a diver (in darkness) to quickly check that the watch hasn’t stopped. A very real utility, if one is diving or doing something in similar low-light conditions. Mine, after regulating, -1 sec/day when worn.. but +1 sec/day when I put it all day with dial up, flat.. has never been love the watch like this..
is it true that after 2004 they stopped making skx007? No, although they may have stopped production now, after the ‘Turtle’ reissues came out (though they’ll still be in plentiful supply anyhow). I just got mine. According to the serial, made 2015 DEC. I wonder if they made any in 2016, or was that the last run? 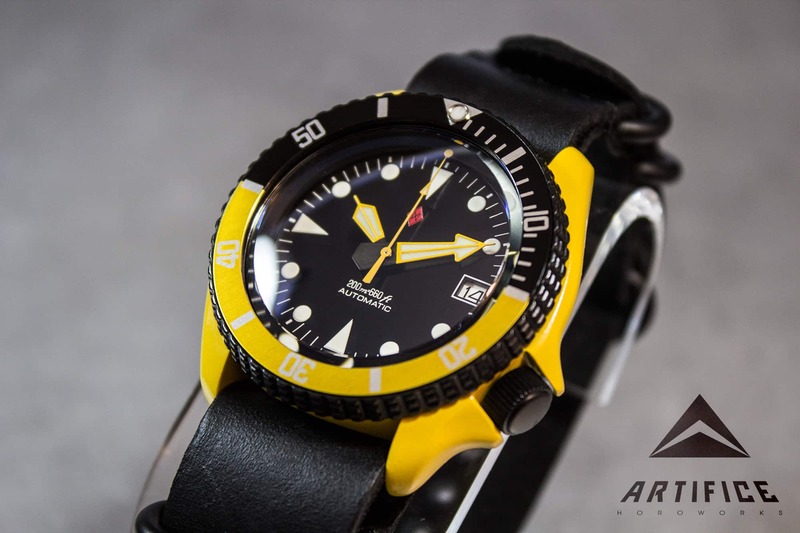 Surely on of the best diver watches ever! So iconic and beautiful, great tool watch and for everyday wear. Where can I buy it for 150$?